FireCrunch offers peace of mind, safety and security with our fire resistant and high FRL fire rated building board range. Australia experiences a number of unpredictable and dangerous bushfires every year, therefore it is important that your home property is well protected. Bushfire areas are defined under a special code AS 3959 standard. Australia has eight climatic zones requiring definitive redirection and compliance in building codes. The requirements in bushfire building are covered by a set of Bushfire Attack Level (BAL) regulations and this range in figures which relate to Kw/m2 (per square metre of irradiance). This heat flux is identified as 12.5, 19, 29, 40 and Flame Zone (FZ), 50Kw/m2 (12.5 is the low end with lower risk and FZ is the top end high risk). FireCrunch building boards have an extremely high temperature resistance of up to 1200⁰C. A top fire tested standard carried out and certificated by the CSIRO to FRL 90/90/90 and the result is our exceptional fire rated and bushfire tested building boards, protecting your property from fire threats and damage. Recognising the importance of FireCrunch in bush fire construction can be the difference of saved lives and properties. Bushfire building in BAL FZ Flame Zone areas requires a significantly high performance in fire safe, fire tested and fire-resistant building material board. Conventional building boards such as plasterboard and paper lined building boards marketed as bushfire safe are not-comparable to FireCrunch. Fire Crunch is not plasterboard it is a very dense cementatious type material composed of ECO friendly support materials in MgO and MgSO4 sulphate and fibre mesh composites which contribute to the strength and fire safety. FireCrunch fire resistant building board exceeds the lifespan of standard plaster building boards on the market to date. A BAL FZ can only be safely achieved with 10mm FireCrunch fire resistant and fire proof building materials. FireCrunch meets the maximum Flame Zone (FZ) BAL FZ where it has undergone stringent CSIRO Fire testing. 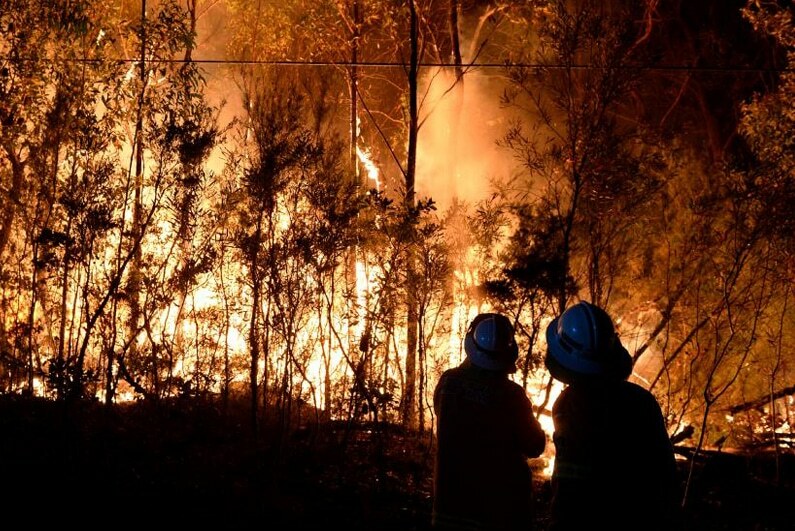 FireCrunch has been tested in a full scale bushfire simulation carried out in Australia by the CSIRO and the only successful fit for purpose test on an MgO product in Australia emulating real bush fire conditions.